Joseph Chacko (center), M.D., director of neuro-ophthalmology at the UAMS Harvey & Bernice Jones Eye Institute, is presented the Sally McSpadden Boreham Chair in Ophthalmology by Christopher T. Westfall, M.D., director of JEI, and Stephanie Gardner, Pharm.D., Ed.D., UAMS Provost and chief academic officer. 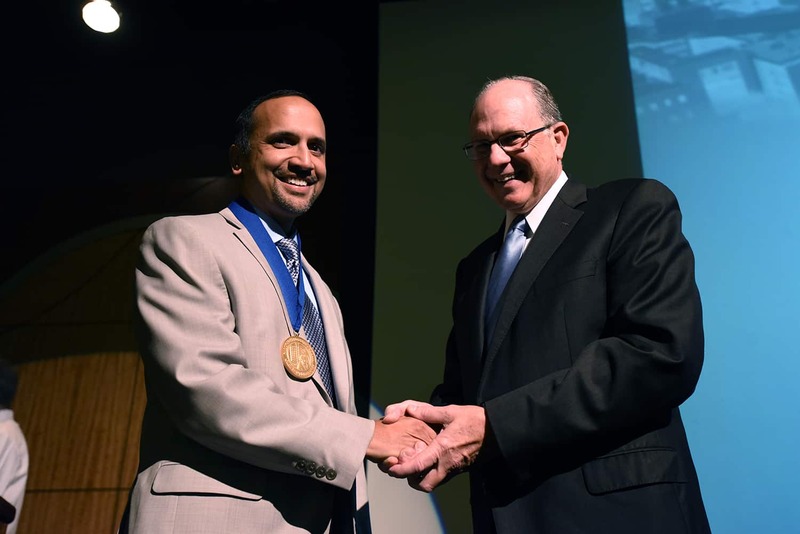 Sept. 27, 2016 | Sept. 27 2016 | Joseph G. Chacko, M.D., professor of ophthalmology and neurology in the University of Arkansas for Medical Sciences (UAMS) College of Medicine, was invested Sept. 26 in the Sally McSpadden Boreham Chair in Ophthalmology. Chacko has been the director of neuro-ophthalmology at the UAMS Harvey & Bernice Jones Eye Institute since 2005. 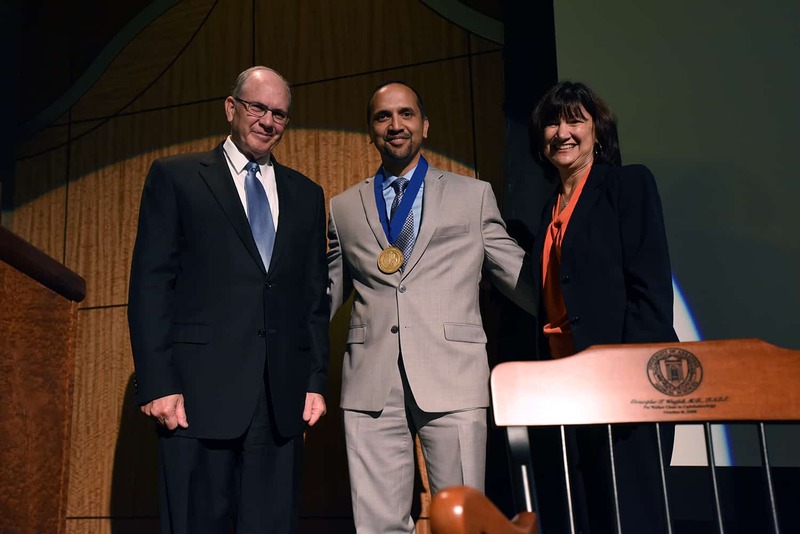 Presenting Chacko with the chair medallion were UAMS Provost and Chief Academic Officer Stephanie Gardner, Pharm.D., Ed.D., and Christopher T. Westfall, M.D.,director of the Jones Eye Institute. 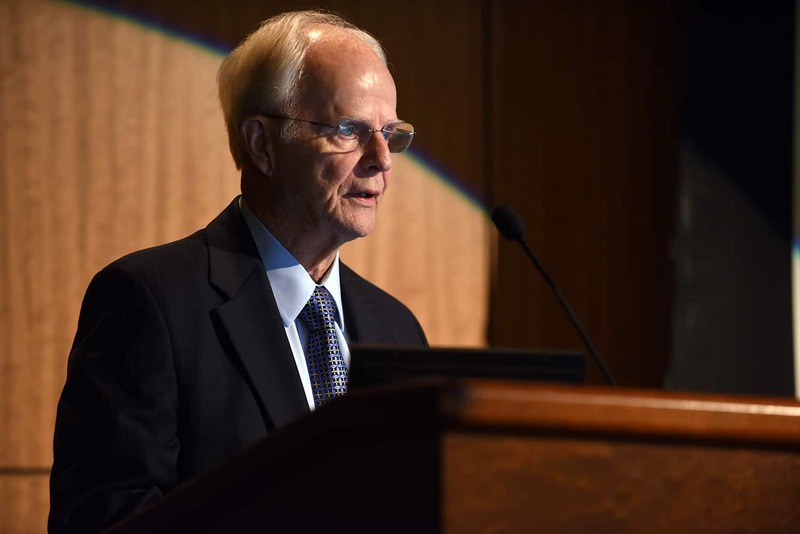 John P. Shock, M.D., JEI’s founding director and chairman emeritus, also praised Chacko. Byron L. Lam, M.D., Chacko’s mentor and a professor at the University of Miami School of Medicine’s Bascom Palmer Eye Institute, said Chacko’s passion for teaching would serve UAMS well. “Mrs. Boreham would be extremely proud” to have Chacko serve as chair holder, said John P. Shock, M.D., founding director of JEI. 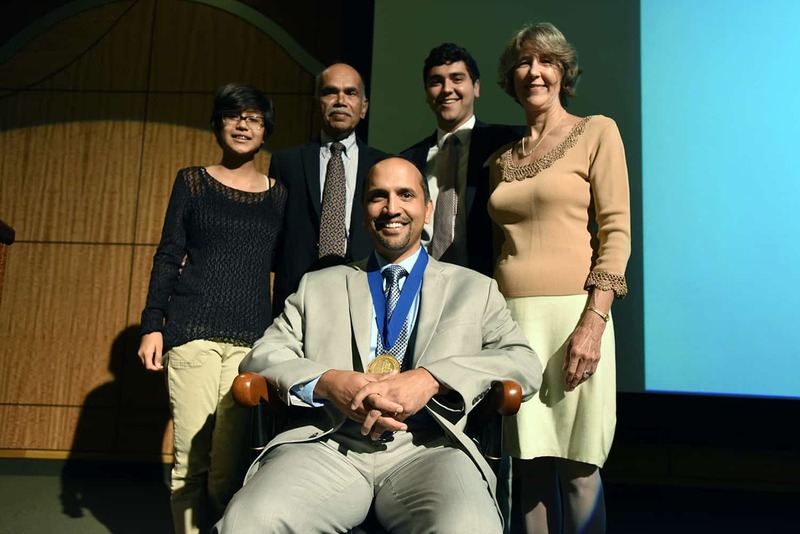 Chacko earned his medical degree from the Medical College of Pennsylvania, now Drexel University College of Medicine, in 1991. He completed a residency in ophthalmology at the Medical College of Georgia at Augusta University in 1995 and a fellowship in neuro-ophthalmology at Bascom Palmer Eye Institute at the University of Miami in 2005. Chacko has more than two decades experience as an ophthalmologist and has participated in annual surgical mission trips to Ghana and Guatemala since 1997 to promote better vision worldwide. His research interests include diseases of the optic nerve and visual pathway including ischemic optic neuropathy, giant cell arteritis, and divergence insufficiency. Chacko is board certified by the American Board of Ophthalmology since 1996. He is a member of the Arkansas Medical Society, Society for the History of Medicine and the Health Professions, and a Fellow in the North American Neuro-Ophthalmology Society. Sally McSpadden Boreham was a longtime supporter of the Jones Eye Institute until her death in 2007. Her generous gift to UAMS, to support research, education and patient care in ophthalmology, made possible the Sally McSpadden Boreham Chair. Boreham grew up in Los Angeles and was a member of the Pi Beta Phi Sorority and the First Baptist Church of Fort Smith. She had two daughters and five grandchildren.